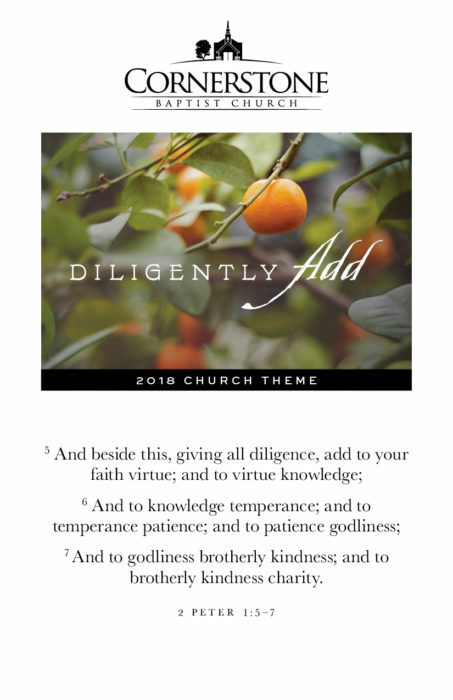 As we look to the Lord to sustain us throughout this new year, we are adopting as our theme, “Diligently Add” from 2 Peter 1:5-7. The following are our memory verses this year as we explore the Scriptures on the call to add to our faith these essential virtues. The first Sunday morning service of each month will be dedicated to preaching and teaching on this theme.